The model OLS-C05 optoelectronic level switch is used for monitoring the level of liquids. The optoelectronic sensor consists of an infrared LED and a light receptor. For versions with trimmer, the switching status can be read directly on the sensor (internal red LED). 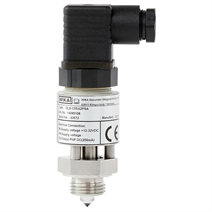 The model OLS-C05 level switch is designed for use with liquids at high temperatures of up to +170 °C [+338 °F].